A while back I had the opportunity to chat with Todd Dunsirn, the CEO of True Process. True Process provides products and services to both hospitals and various manufacturers. The company is focused on the point of care market offering a medication administration solution and a medical device data system. What was the genesis for starting True Process? I started the company in 2004. I have an engineering background, and had several other companies doing IT consulting and then web development, and application development. Then I had a friend contact me to develop a bar-code point-of-care simulation so that sales reps that were selling infusion pumps could demonstrate the five rights process with the pump. So, of course he said, "Hey can you do this? It's gotta be done in three months." And keep in mind, I had never heard of bar-code point-of-care [chuckle] prior to this, so I’d really never thought about infusion pumps. So I was on the road for weeks learning the technology, spent time in hospitals seeing how it's used and developed this application. When it was complete, the client was just about to release their wireless suite of products and they said, "Hey, you've done all this research, why don't you do the first installation because over the last three months you became the expert at doing this?" So I became the installation department and there was one site, then another site and it quickly grew from there. It was apparent to me that, okay, there's a need here. These medical device companies didn't have the resources or core competencies on the IT side of things, in their companies right now, and that's how it started. So we scaled up, and we had created a business out of this single opportunity. We made a conscious decision to just stay focused in healthcare, because it's a unique industry and a unique space with regards to IT, and I didn't want be bouncing around across vertical markets. We've branched out in recent years with other companies and other technologies that are in healthcare. Right now we're doing a lot of work in the RTLS (real time location system) space, with asset management and workflow studies based on the actual location of people and things. We've seen a lot of growth in that area, a lot of interest for what we do. 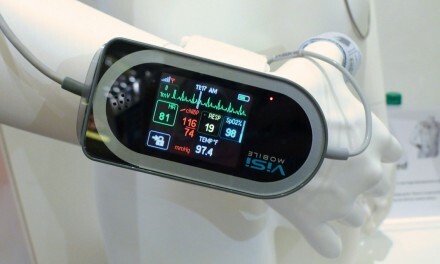 So, it's starting to be an interesting blend of technology now with medical devices and other things like RTLS. Are these RTLS projects for RTLS manufacturers or are they for medical device companies that want their products tracked? Or are they for hospitals? Right now we are working primarily with the RTLS hardware manufacturers and system integrators of these types of platforms. The systems integrators have a vendor neutral platform that can use RTLS hardware and provide a variety of tracking and workflow automation applications. Then they have a rules engine so they can trigger things based on location or how long a device or a patient has been in a certain location; they also provide analytics. These systems can do some really interesting workflow optimization and awareness things. So we're working with a lot of companies like that. True Process is pretty unique in that you work for both manufacturers and hospitals. Based on that perspective, what industry trends jump out at you? The biggest that that sticks out in my mind is that it always feels like health care behind the times. It feels like it's the last industry to try and catch up. Sometimes it feels like things are made more complicated than they need to be. A lot of medical device manufacturers look at wireless as this high-end premium feature when really in every other industry it's a given that you have that. It's not something that really should set you apart anymore. It should be assumed that every device is connected as wireless and can communicate. Another thing that jumps out is that there hasn't been a lot of movement from the device manufacturer's side, and there hasn't been a lot of pressure from the buyer's side to work towards some level of standardization with respect to how devices communicate. We have all these standards going on with the EHR and health exchanges and all that, and that's great. But when you look at the medical device side, everybody's doing it differently. The messages are different. How they connect is different. The security is different. It's baffling that in an industry where you can have devices that are recalled and unavailable, the vast majority of products are tied to proprietary messaging and wireless infrastructure. Take the infusion pump manufacturers for example, and the recent product recalls. If you're a hospital and you have this gateway and these devices and there's a recall, you're done. You're not communicating or you can't just get another manufacturer's pump and put it in there because the messaging is all different, the platform's all different. It's like if you had to replace your cable modem or router in your house and you had to replace all your devices accessing the Internet. Nobody would ever do that. But hospitals and healthcare, they currently do that. I think device manufacturers in general would benefit from some sort of standardization, because they're all really trying to do the same thing. And I think what it would allow them to do is really just follow some best practices for connectivity and really put their focus on the functionality of the product itself and what it's supposed to do, and how it's supposed to deliver a medication or monitor a vital or whatever it is. I don't know how that's going to change. I would think some of the large purchasing organizations would be able to really drive that. 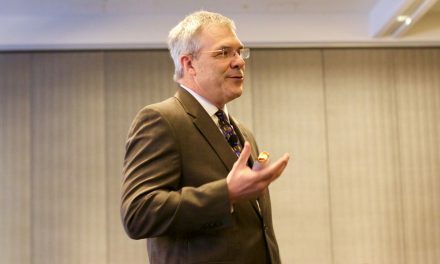 I've seen different initiatives to try to standardize the buying process of connectivity and say, "Hey, this is how we want to do things and it's got to meet these requirements, and if it doesn't, we're not buying it." They just haven't taken that to the next step, and I don't know where it falls in the priority list of things that hospitals are doing with the recent last few years of EMR integrations and changes, but I think as connectivity moves forward we'll see that happen. Tell us about your MDDS platform, ViNES. What is it and what are its capabilities? And do you sell it to medical device manufacturers, or do you sell it to hospitals? 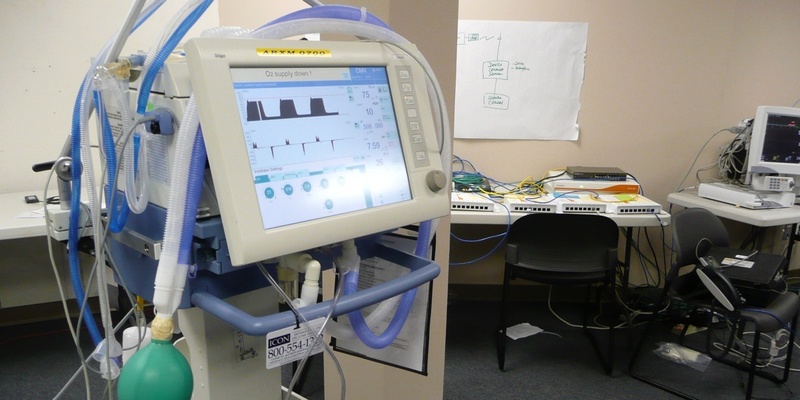 Today in hospitals they have these 10 to 15 different device gateways that they have to manage for all these different medical devices devices, and the data's all scattered into these separate gateways – or just streamed into the bit bucket. We saw this and thought about this for years. And we saw the need to develop a platform that is vendor neutral, where anything can connect to it, and it stores the data in a common format on a common platform. We use the standards that are out there, whether they're ones from IHE or Continua Alliance or IEEE. We try to use those standards when we develop our database so that all data is stored the same way, so it can be accessed the same way. As we got started, it became apparent that what we were developing was more then just a device gateway. It really developed more into an integration platform that included medical devices and other HIT systems. Take for instance, getting an ADT feed, getting vitals data. It doesn't matter what the data source is, we can take that data and we can accept it and we can organize it based on the structure that we created. And then we wanted to make that data accessible through an interface that really allows hospitals or even a device manufacturer to access that data however they want, whenever they want in a known format that they can control. So that was really how we got started with ViNES, we looked at this vendor neutral device gateway platform. What about ViNES sets it apart from other connectivity solutions and what do you see as important differences between connectivity solutions. First, ViNES actually stores and organizes the data. So it's not just routing data, it's not just a serial-to-serial connection that's getting data from the device and sending it to the EMR. We're actually storing the data, so we have this whole data warehouse structure. The goal was to collect everything from every device, store it in a patient-centric way, and then be able to organize it by unit, or hospital or however you want. So that's one of the unique things, it's not just a connectivity engine, it's a connectivity and data warehousing engine. Everybody talks about big data and analytics, but this is mostly applied to data in the EMR and claims data – all abstracted and summarized data. If you look at how much data is generated at the point of care in a hospital just from devices, it's staggering. 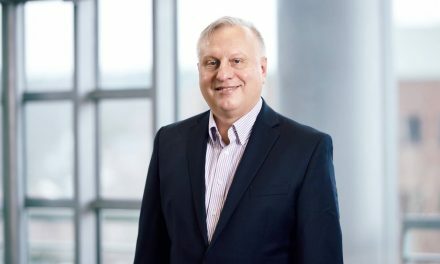 It’s this full resolution physiological and therapeutic data that, when combined with the HIT data we have now, will really transform big data into a took with a transformational impact on health care delivery. And that's why we created ViNES to collect all that data and organize it intelligently. Even if it's not being used today that data in another year or two - just having access to it, you're going to be able to do some very interesting things with it. Also, we're really tried to create something that is developed around current technology. We use a lot of open source technologies to keep current and to keep the cost down. Consequently, we're able to approach the market with a very scalable and flexible licensing agreement. Take for instance, low census devices like intra-aortic balloon pumps, dialysis machines or, somebody that has five scales that wants to integrate them. Our approach to licensing can scale down to these small deployments to price ViNES so that it can be affordable in most situations. In the future, ViNES is designed to be cloud based so we can host customer data on an Amazon cloud, and provide connectivity for somebody that didn't want to have manage the infrastructure. 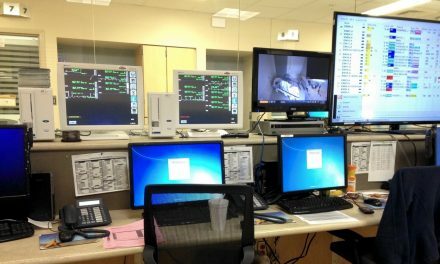 The goal is to enable a hospital had ViNES, to be able to go onto a screen, select whatever device they wanted to connect, configure it, and be up and running without really any intervention from us. We’re also moving to modularize software as plug-ins and provide the ability to send data to a data warehouse where we really don't have to be involved. And that goes back to the standards. We're not looking to create some sort of system where they have to pay a lot of money to get the data out of their platform. It's their data, they should have access to it, and we think there are opportunities and growth in other aspects of developing the product other than charging them data access usage fees and things like that. Unlike some medical device manufacturers I can think of. That's how the industry is, and we're just trying to be different. We're trying to shake things up, and the more we talk to hospitals, CIOs and people that are in charge of these efforts, you see the movement and the frustration. It's like when are we going wake up and do things the right way and take control of this and demand solutions that meet our business needs, meet our cost structure, and are technologically done the right way. That’s a great segue to my last question. What are the trends that you're seeing in the connectivity market? Is growth increasing? Are we starting to peak because of the meaningful use roadmap? Are buyers getting better informed? Are they asking harder questions, or are they still just buying whatever their favorite vendor wants to sell? I think medical device manufacturers are starting to really look at the value of a prospective connectivity solution. We're working on several opportunities right now, two opportunities in the last week, where companies that are with a current provider had said the cost is just unsustainable. What I'm hearing it like, "This is great, but I'm not going pay all this money to do it just because I can. It's got to mean something. And it's got to fit into our strategy." So that’s a trend that we're seeing. You look at how much some of these connectivity systems cost, and that’s being driven by what they're doing and also how the work is done. It seems like nothing's really turnkey, and there's a lot of time and a lot of effort to get things done. And I don't know if that's because of the technology itself or their design approach. Take the core cost of a system – the software licenses and hardware costs – and now add on all this consulting and development time to get things working, and it can easily become a black hole of cost. With ViNES, we're really trying to change that paradigm and to make it more efficient. The final trend we’re seeing is a glimmer of recognition regarding the value of medical device data beyond clinical documentation in the EMR. Not everybody understands right now the value of this data. Everybody talks about big data, but few people know what they're really talking about or what it really means or how it applies to them. This is true for both medical device manufacturers and the data their devices produce, and hospitals and the data generated from their patients. A lot of data now is used really in the short term. It's used right away, but it's not mined or analyzed to learn what really happened here, and what were the events that happened, and how this lines up to what was actually done, and the ultimate patient outcome. That's just not happening now.